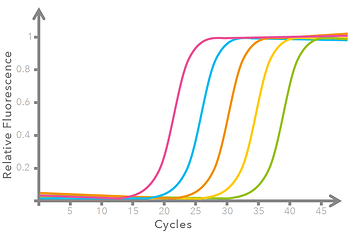 Using the D300e’s PCR wizard, setting up qPCR reactions becomes a matter of minutes. In just 4 guided steps, you will be able to create even complex plate layouts with standard curves and different template concentrations. In addition, you can reduce your assay volume due to the exceptional low volume dispensing capabilities of the D300e digital dispenser.